Sunday 24 November, 2013 is the last duchen day in this year. This day is Lha Bab Duechen, Descent from Heaven Day, the day that Shakyamuni Buddha returned from the Heaven of the 33 where he had gone to teach Dharma to his mother Mahamaya and dewas. 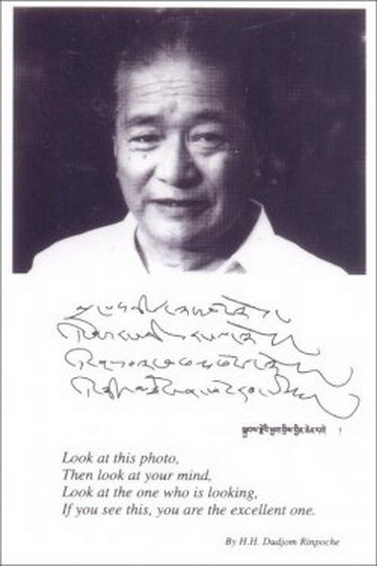 And then on this Sunday, the 19th of January it is the anniversary of the mahaparinirvana of HH Dudjom Rinpoche, the regent of Guru Rinpoche who showed us such vast kindness, and whose light continues to radiate wisdom blessings through space. It is a great day to do Guru Yoga, tsok offering, etc. 8 October - partial lunar eclipse in North America. Totality is supposed to be visible on the East Coast prior to sunup at around 7 am. 23 October - partial solar eclipse visible all over North America except New England in the afternoon but esp. visible on the West Coast. Remember that merit and demerit are multiplied during eclipses. Lhabab Duechen, Descent from Heaven Day and the last major holy day of the religious year until Losar, falls on 13 November, 2014. Merit or demerit is said to be multiplied ten million times. There will be a lunar eclipse 4 April, 2015 over the Pacific. This can be seen before dawn in the Western US and Saturday evening in Asia. Merit/demerit is multiplied 10,000 times. Chokhor Duchen 2015 - the 4th day of the 6th month of the Tibetan Buddhist calendar, the First Turning of the wheel of Shakyamuni Buddha begins at sunrise 5:12 am in Bodhgaya on 20 July (11:42 pm GMT 19 July) - just a few minutes from now (I'm posting at 7:40 pm on 19 July, 2015). This coming Wednesday, 9 March, is the last day of the first month of the Tibetan calendar for 2016. All the days in the first month of the Tibetan calendar are merit and demerit multiplying days. Additionally, even though it can only be seen in the Pacific (Indonesia to Micronesia), Wednesday 9 March is a solar eclipse day and merit and demerit are multiplied 100,000 times (some lamas say millions of times). Two weeks later, on 23 March, there will be a penumbral lunar eclipse, visible from West Asia (Afghanistan, Pakistan and the middle of Kazakhstan) through the Pacific to North and South America, excluding the easternmost parts of Brazil. Merit and demerit are said to be multiplied 10,000 times. I didn't pay attention to the UTC times - so basically the solar eclipse begins at 23:19 UTC 8 March which is 6:19 pm on the US East Coast and ends at 01:59 UTC 9 March which is 8:59 pm US East Coast time. So contrary to the online FPMT calendar, the eclipse day for North America is today (and this would be the case in Europe as well since the day is sunup to sunup). However it will be on the morning of 9 March in Asia. On May 21st its the enlightenment, birth, and parinirvana of Shakyamuni Buddha. Saga Dawa is now, from 26th May 2017 to 24th June 2017. This is the month of three very important holy days of Buddha being celebrated: Birth, Enlightenment & Mahaparinirvana. It is also known as Bumgyur Dawa. It means if you perform a merit, it will be multiplied into 100,000 times. Therefore, it is such a great opportunity to accumulate merits during the above date. Good to know. Friday November 10 2017 is one of the year's four main Buddhist holy days, Lhabab Duchen, celebrated as the day Guru Shakyamuni Buddha descended from the God Realm of Thirty-Three after teaching his mother and the gods living there Dharma for several months. As such, it is known as a Buddha Multiplying Day, when, as Lama Zopa Rinpoche has said, karmic results are multiplied one hundred million times, citing the Vinaya text Treasure of Quotations and Logic as his reference. 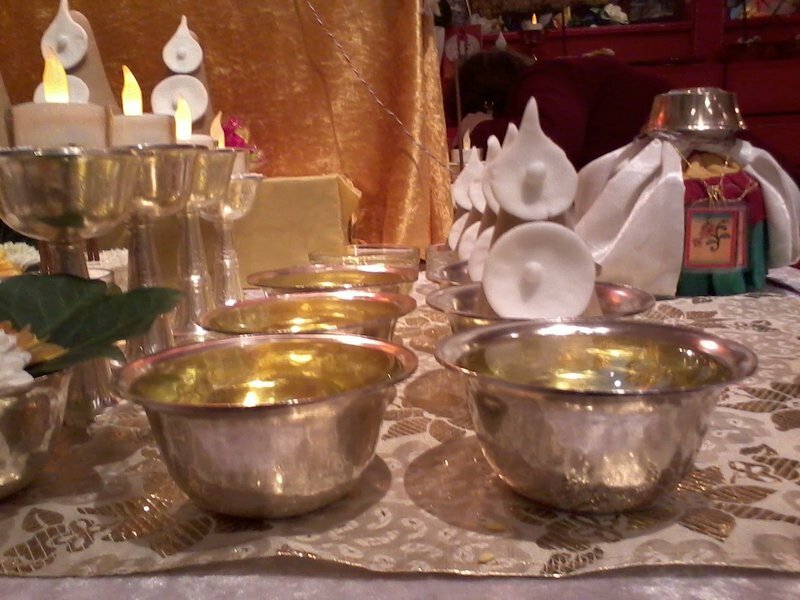 Therefore Lhabab Duchen is an amazing time to make offerings. Today 17h28 CET is Winter Solstice. 1. Düdgyal (´King of daemons´) - good for wrathful rituals and Wrathful-Dharma-protector-practices. 3. 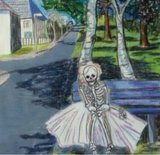 Tuesday - generally, good for wrathful practices. will be Super Red Moon eclipse over Europe. Starting at 9 h30 pm, not sure when exactly eclipse happening. 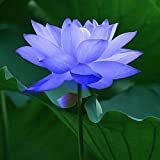 Rishi stars - September 9 - 15, 2018 - " This special astrological constellation causes the natural water-sources on earth to be transformed into nectar-like liquids. It is therefore particularly beneficial to take baths on these days." According to Tibetan and Vedic astrology, there are a cluster of seven stars, called the ‘Rishi’ stars, that ‘appear’ once a year – usually in Sept.
Lama Dawa Rinpoche says that, according to Hindu legend, these stars (called Sapta Rishi – the seven Rishis) were once great sages of the past, who, upon their death, raised up into the heavens and became these stars. When they are visible in the night sky, their light is said to possess special healing powers that transform all water into a healing nectar. Typically, Tibetan doctors and healers would place buckets of water outside during this time, then use this water for making their medicines. Lama Dawa remembers how His Holiness Matrul Rinpcoche – a great Tibetan physician – would then boil this water down, thus concentrating it, then use this water to make the herbal medicinal pills, and also to consecrate the water with healing mantras. Another way of benefiting from this healing water is to bathe in pools, ponds or rivers during this time. Or, collect water in buckets and use that for bathing. Any water – whether it is ocean, river, stream, or water in pools, is imbued with the healing qualities of the stars. This water can be used to make healing tinctures, or for giving to pets and plants. Even the water in our own bodies can be ‘blessed’ and purified by this special healing energy by exposing your body to the night sky when the stars are out. It is a particularly auspicious time to do practices such as the Vajra Armor mantra, which is used to consecrate water, or Medicine Buddha mantras and offering pujas. 4. Tania Borealis: In the right hind paw of Ursa Major, along with Tania Australis, this star was part of an early Arabian constellation, The Gazelle, of which this group is the “Second Leap”. The Great Bear is mainly martial in action, considered unfortunate for nations and kings. 8. Alula Borealis: Hindmost foot of Ursa Major. As the northern Alula, it is more fortunate. Associated with female infidelity & revenge. The Great Bear gives a quiet, prudent, suspicious, mistrustful, self-controlled, patient nature, but an uneasy spirit; great anger when roused. 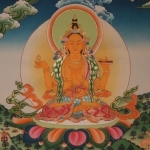 Lhabab Düchen occurs on Wednesday October 31, 2018 this year. 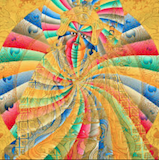 This is the 22nd day of the ninth month of the major Tibetan Buddhist calendar. This is the last of the four major holy days (düchen) that occur in the Tibetan Buddhist calendar. According to legend Shakyamuni Buddha went to the Trāyastriṃśa Heaven in order to teach his mother who had been reborn there. Lhabab Düchen commemorates his return to Earth at Sankisa, India. Merit and demerit are said to be multiplied ten million times on this (and all düchen) days. Practice is recommended. if there was ever a year to give out the full size Snickers, this is the time.